It’s the most wonderful time of the year, the season of lights. Cold bluebird days on the slopes, apres ski by the firepit, s’mores and hot cocoa to warm your soul. For those who celebrate Christmas, it’s a time when children are writing their letters to Santa, anticipating winter break to run free in the snow. And as a perk to the season, Santa decides to touch down every year at the Truckee Airport for a little fun. 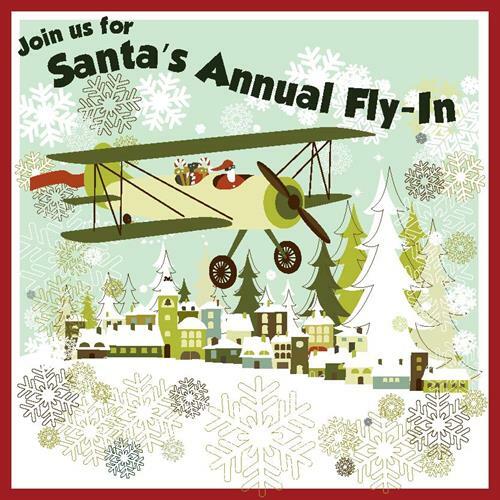 One of our favorite local events, Santa’s Annual Fly-in on December 10th is chock full of fun things for the whole family. Santa flies in on a special plane, and from 10AM to 3PM children can spend time with the jolly ol’ man himself, sipping on hot cocoa (there’s that favorite holiday drink! ), holiday treats, crafts and more. And the best part about this event is it’s FREE for all ages! To learn more, contact Marc Lamb at marc.lamb@truckeetahoeairport.com.